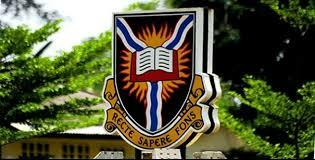 University of Ibadan (UI) Names of Candidates Offered Provisional Admission into the Various Degree Programmes for 2018/2019 Academic Session Uploaded Online. Authorities of the University of Ibadan, has released the admission list for the 2018/2019 academic session. Kindly log on to UI admission portal at http://www.admissions.ui.edu.ng/. All admitted candidates are to log on to JAMB CAPS Portal to accept their admission offer and proceed to print their JAMB Admission Letter. Candidates are also expected to log on to the University Portal to make payment of their Acceptance Fee (The payment portal will open from Monday, 10 December 2018 to 04 January 2019). See: UI Acceptance Fee Amount & Payment Guidelines 2018/2019 [Freshmen].